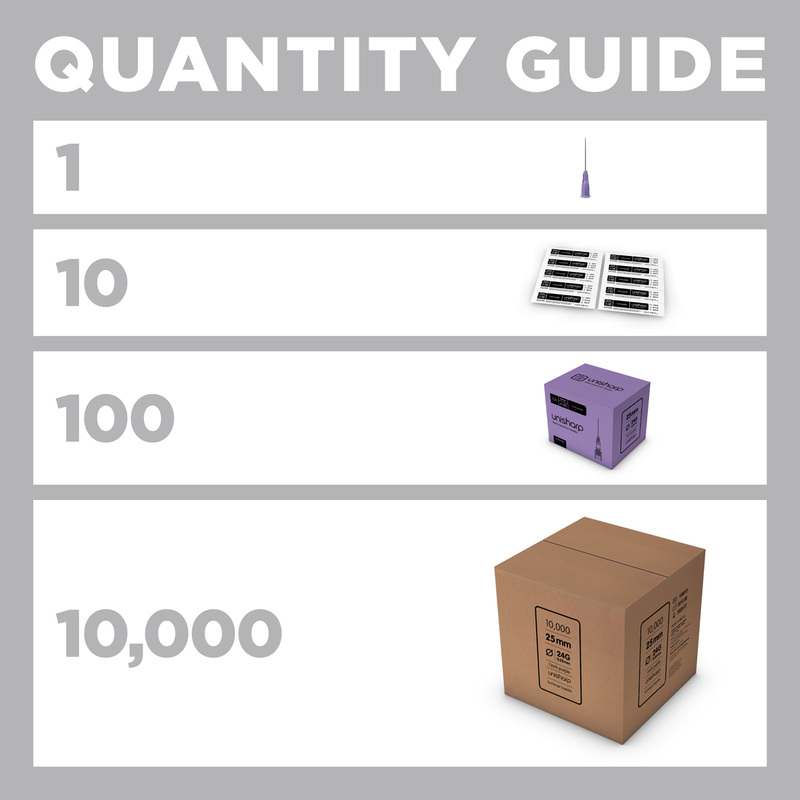 Purple needle: a 24 gauge, 25mm (1 inch) individually blister packed hypodermic needle. 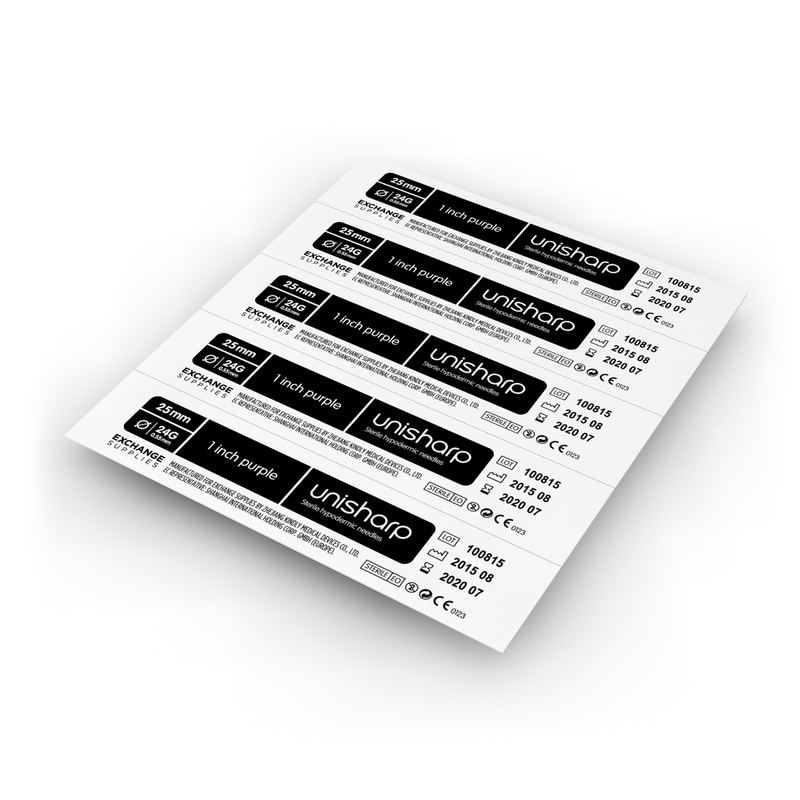 A great value, high quality 24 guage needle that fits all luer lock and luer slip syringes made for detachable needles. 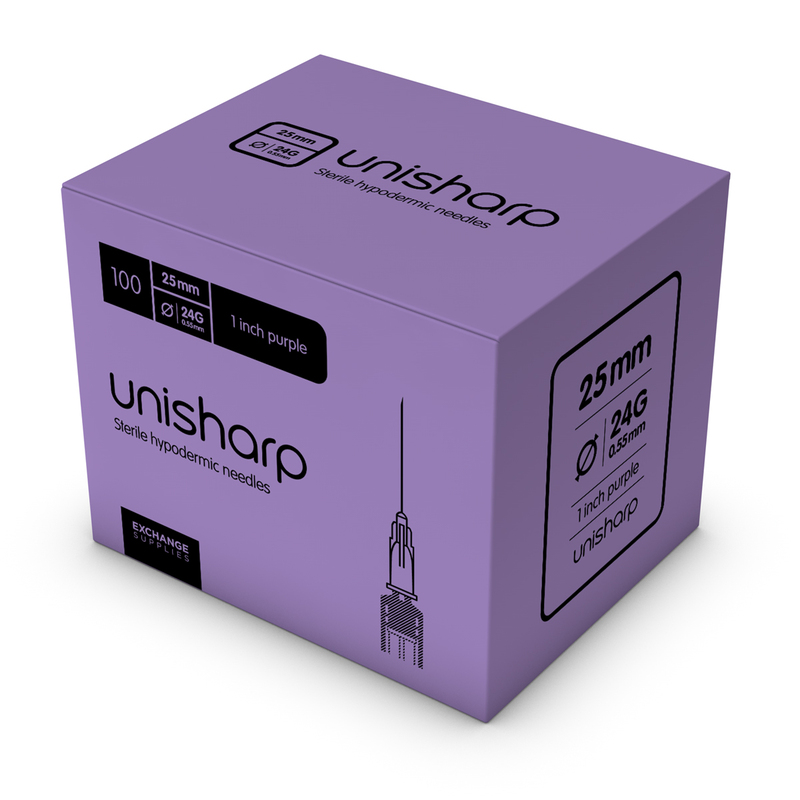 The Unisharp 24g can perform injections that people have traditionally used blue needles for, but the finer needle causes less injecting site tissue damage. This 25mm/1 inch needle has a 24 gauge / 0.55mm diameter: which means that it 'sits between' the thickness of orange and blue needles, making it suitable for intramuscular and deep intravenous injections. Stronger and slightly thicker than an orange needle, the purple or violet needle is also used in preference to blue for the injection of oil based steroids for a less painful injection, with less damage to the muscle.